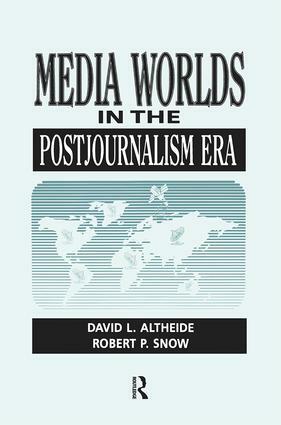 The concept of media logic, a theoretical framework for explaining the relationship between mass media and culture, was first introduced in Altheide and Snow's influential work, Media Logic. In Media Worlds in the Postjournalism Era, the authors expand their analysis of how organizational considerations promote a distinctive media logic, which in turn is conductive to a media culture. They trace the ethnography of that media culture, including the knowledge, techniques, and assumptions that encourage media professionals to acquire particular cognitive and evaluative criteria and thereby present events primarily for the media's own ends.